Okay, so the new car has XM radio in it. Not something I had to have or really even wanted, the car just came with it. But now, I’m kinda hooked. I’ve been jamming to Z100 and I like it, but then I found Elvis Radio and now I kind of love it. What can I say, I guess I’m my father’s child. It’s all Elvis all the time. 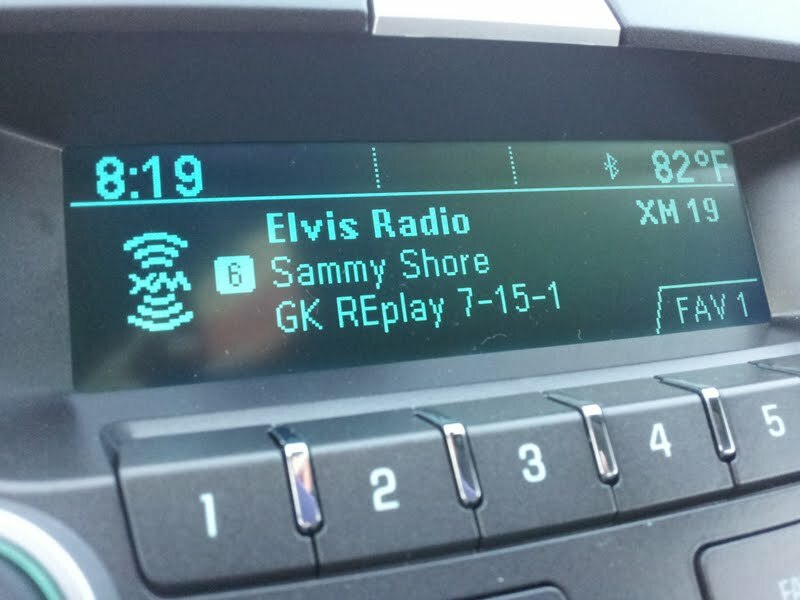 While I realize Elvis has a healthy amount of songs to choose from, I was curious as to how he could fill a whole channel. It turns out the station is run out of Graceland by these two old men who spend a lot of time b.s.ing about nothing. They answer Elvis style emails, offer Elvis trivia, talk about Elvis festivals and discuss the looks of the visitors at Graceland. “Everywhere I look today there’s a pretty girl,” and the workings of Skype were two of the topics discussed during the 15 or so minutes I tuned in. That’s some great radio right there. And I found the Soul channel. I think tomorrow I’ll try something from the Canadian list. I so enjoy looking at your daily slice of life. I tend to stress over what I will photograph each day, and then I come over and visit your page and relax as I enjoy the treat you give us each day.